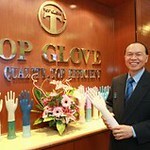 MALAYSIA-based Top Glove, a leading maker and supplier of rubber gloves is expanding its capacity through creating a total of 22 glove factories across the country to achieve its goal of partaking 30% of the global market share. 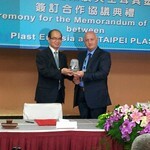 ALREADY one of the top ten destinations for Taiwanese plastics machine makers, Turkey holds further allure, judging from the MOU signed between the Taiwan External Trade Development Council (TAITRA) and the Turkish Plastics Manufacturers Research Development and Educational Foundation (PAGEV) during the recently concluded Taipeiplas show. Horng also said that Taiwanese machine makers were one of the first to use Turkey as a stepping stone to Middle Eastern countries that have sanctions and thus are unable to import machinery. �The Chinese were not the first ones to use Turkey as a base to enter countries like Iraq,� he added. Meanwhile, PAGEV Executive Director Mehmet Uysal said that Turkey's plastics industry consists of 6,000 companies and is valued at US$700 million a year. Of this, US$50 million of equipment is sold to the domestic market, with the rest of it exported. On the other hand, Taiwan exports around US$31 million worth of equipment to Turkey in a year. The Turkish plastics industry is growing at 10-12% a year and this is the attraction for Taiwanese machine makers. �In view of the growth, the industry needs cheaper machines,� said Uysal, adding that the packaging sector is the largest followed by the building/construction, automotive and household sectors. 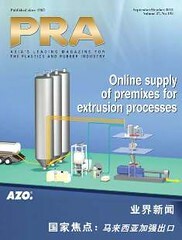 However, he said that this year Turkey�s plastics industry had projected 15% growth but due to the conflict in the region, the growth has been reduced to 10% for the first half of 2012.